Need a great tasting meal on the go, light fresh and absolutely mouth watering? 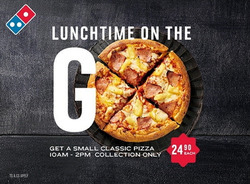 Why not stop by at your nearest Domino's Pizza and enjoy the classics, and more in your favourite Pizza flavours. 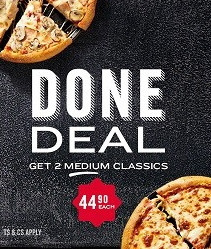 See the Domino's catalogue and grab a special for you and your family to enjoy. 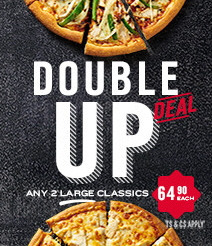 Do you want to receive more Domino's Pizza deals by email?